There’s a danger of an escalation of conflict with North Korea which is very worrying given that some of the most heavily armed nations with immense armies are in the region, said Hazel Smith, security expert. 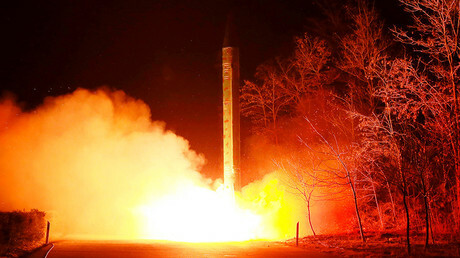 RT: Japan says the North Korean missile launched on Sunday reached an altitude of 2,000km. Is that even possible with North Korean technology? Hazel Smith: North Korea is technically an advanced country. It has got developed engineering skills. It’s got a very high level of scientific literacy within the country, which may sound odd for a poor country. But you would have a scientific, and numerate and literate workforce. So it’s not odd that they have a capability. We all know politically, because they have been telling us for the last 25 years, that they aim to develop these ballistic technology mechanisms. We all know that they have developed the nuclear testing. These are not trivial achievements, trivial scientific, or trivial engineering achievements. So yes, of course we know that the North Koreans are developing both their nuclear program and ballistic missile technology. In a sense, what level of kilometers they have gone this time or last time is almost irrelevant. 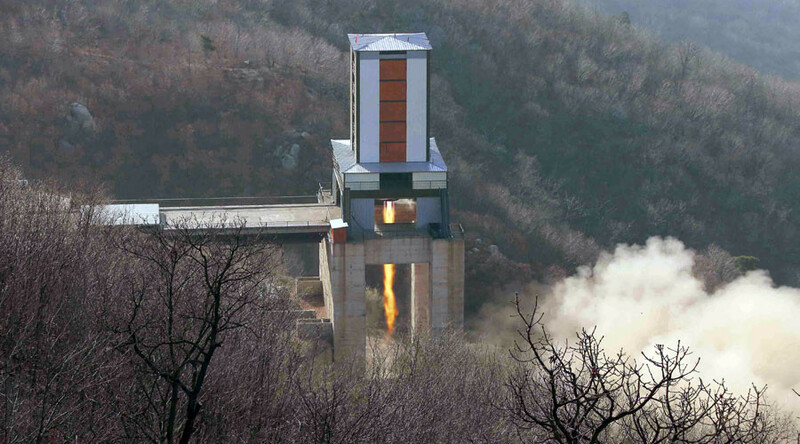 We all know they are trying to develop a long-range missile because they have told us and because they have made several tests. RT: Last month, when President Trump deployed battleships to Korean waters, there were headlines about a possible World War III. Is this just media hysteria or is there a genuine danger of this? HS: There is certainly a danger of an escalation of conflict. Many wars start almost by accident, not by volition. They start by small conflicts and because there is no diplomacy going on to channel those conflicts into a peaceful resolution. Then these conflicts get out of hand and often last for many, many years as we tragically see in Syria right now. Given that there is an ongoing conflict between North Korea and South Korea, between North Korea and Japan; between North Korea and the US, there are at the moment very few diplomatic channels, if any, open for any conflict to be resolved. This is different from in the past. There have been military conflicts when people have died, for instance, on the maritime demarcation line between North Korea and South Korea, when there have been people killed in shootouts. These conflicts have been deescalated, because there have been diplomatic channels available to do that. What we’re seeing now though is a very recent election in South Korea where the President has made some indications that he will be seeking to deescalate conflict. Hopefully this will lead to some form of engagement, such that there can be at least channels open, so that when conflicts start, or breakout even further than they are, there are some means to deescalate these conflicts. That is not the case at the moment. In that case it is very worrying, because in this region, you have some of the most heavily armed nations in the world: the US, China, Russia, South Korea. Of course North Korea is heavily armed, but by comparison the other states in the region that are all very, very developed states, have immense armies. So were a conflict to escalate, it would be very, very serious indeed.